New Guardian Envelope Press n Seal Wage Pocket 108x102mm Printed Pack 1000 Pack of 1 Size: 108 x 102mm Printed. New Guardian Envelope Press n Seal Wage Pocket 108x102mm Plain Pack 1000 Pack of 1 Size: 108x102mm Plain. 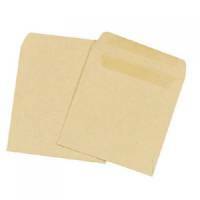 Q-Connect Envelope Wage 108x102mm Plain Self Seal 90gsm Manilla (Pack of 1000) KF3420 Pack of 1 Q-Connect Plain Wage Envelopes. 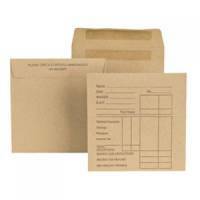 Easy to seal wage envelopes without cut away flap. Contents cannot be checked before packet is opened. Suitable for holding coins. 108 x 102mm. Self Seal plain manilla. 90gsm.